Israel Zohar is a member and soloist of the Israeli Philharmonic Orchestra. His webpage gives brief career highlights. Includes a listing of CDs and videos. American singer-songwriter from Monsey. Grew up in NY. His music combines American folk traditions with Jewish soul, with some MBD and contempo Reform influences (a la Jeff Klepper) thrown in. He has many press reviews on the website, which is graphics rich and takes a while to load if you don’t have a fast connection. The website itself, looks good and sound quality was good on the clips. Za’atar is a band dedicated to the performance of the vibrant music of the Jewish Mizrahi and Sephardic cultures. A Boston based contemporary Jewish music group. A three person ensemble influenced by Craig Taubman and Debbie Friedman. They sing their own original songs which are Jewish thematically, but combine musical idioms of modern rock, blues and funk. This Paris-based group has published 4 CDs with EMI records and plays Yiddish and Gypsy music. They do both traditional music and original compositions. The group consists of 8 musicians (2 violins, 1 cello, 1 bass, 1 cymbalum, 1 guitar, 1 drums and 1 accordion) 4 musicians are singing in Gypsy, Russian and Yiddish. Contact: Eric Slabiak. 22 boulevard saint denis – 75010 PARIS. tel + 33 1 45 23 31 32 . fax + 33 1 45 23 31 82. The Yale University klezmer group has a CD, “Klezmosis,” which was recorded by the band of 2002-03. Webpage will need updating with the new school year. The Traveling Tefillah Band describes themselves as “a Kansas City-based musical ensemble whose mission is to bring a refreshing spirit to Jewish worship.” Their website provides samples of music, links and contact information as well as a nice photo of the group. Gan Eydn (Garden of Eden) is the name Peggy Davis (artist)and Yosl (Joe) Kurland have given to their home. Their website features an entire online guide to Jewish Weddings and features information about both the recordings and the calligraphy. Vurma is a klezmer sextet based in Stockholm. Voice of the Turtle is a Boston-based group specializing in the music of the Jews of Spain. The group “learns most of its repertoire from field recordings housed in Jerusalem at the Jewish Music Research Center, at Hebrew University and at the radio station Kol Yisrael. These versions were collected by radio-journalists, scholars, and ethnomusicologists from Sephardi communities in Israel,documenting many versions of the songs which have been preserved by oral tradition.” Their website includes information on the performers, their instruments, and the group through FAQs. Artistic Director, Judith Wachs. Group performing since 1986. Music and dance of the Sephardic heritage. Judith Brin Ingber (dancer, choreographer and co-founder); David Harris (Artistic Director, vocalist, and co-founder); Mick LaBriola (percussionist); David Burk (guitar, ‘ud, chumbush, bass);David Rockne Stenshoel (violin). They have CDs called Hamsa, Viva Sepharad, and Pasión. They perform in and around the Minneapolis area. Eliana Gilad uses voice and rhythm as a natural healer. She has several CDs of healing and calming music and also CDs with lullabies for babies. She conducts workshops in Israel, other countries in the Middle East, Europe and the US. She claims her music “has been found to lower blood pressure, increase focus and quality of sleep.” Her website also has a travel and event calendar, sound clips and contact information. Adrian Stoet, violin and Tjako Van Schie, piano have been playing together since 1984. On one CD, he plays Jewish music from the camps and ghettos of WWII. Their CD is “Shtil, die nacht iz Oysgesternt: Yiddish Music from the Ghettos and Concentration Camps. It has selections such as ‘Peat Bog Soldier’, ‘Es Brent’, ‘Yisrolik’ and other Yiddish and European songs from WWII and the Holocaust. 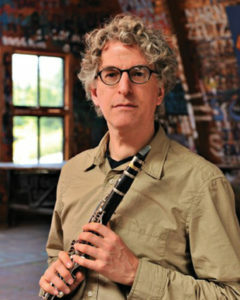 Van Schie teaches at the Amsterdam Conservatory and concertizes in NL and elsewhere in Europe. He is a specialist in Bach. Tzimmes is a musical group based in Vancouver, B.C., Canada. Tzimmes offers a program that “emphasizes the tremendous diversity within Jewish music.” They sing klezmer tunes, Sephardic and North American folk ballads. Their programs usually include several languages. Musical samples are available at the site. A group dedicated to the revival and interpretation of Sephardi repertoire. Nora Usterman – soprano; Ernesto Wildbaum – violín; Ricardo Barceló – guitar. Since 1994, the Trio has successfully performed at international festivals and a great number of concerts in Spain and abroad. The website is both in English and Spanish. It includes performer bios, photos, events calendar and a little history. Independent record company located in the New York/New Jersey Metropolitan area dedicated to bringing the finest in Contemporary and Traditional Jewish Music. So far, only one record listed on the site. Tanja Solnik sings traditional Jewish lullabies in Yiddish, Ladino and Hebrew. Canadian Singer-songwriter, centered in Toronto. Involved primarily in the popular and folk music field, Soberman produced an album as tribute to his father, Cantor Morris Soberman, reproducing melodies particular to his families’ tradition. He also completed an entire CD which encompasses Jewish prayers, entitled “Searching for My Voice”. Arnie Singer, singer-songwriter has put together a website and CD Soul Encounter. Part of the Manhattan Jewish experience. Religous, liturgical. Music in the renewal-popular style, with some more “traditional” Carlebach tunes. Singer is soloists at the Manhattan Jewish Experience on the West Side. 137 W86th St. (between Amsterdam and Columbus)in New York City. Shtreiml is a group founded in Montreal, Quebec, Canada and features the 10-hole diatonic harmonica, piano, accordian, drums, and bass. The group mixes klezmer and hasidic music as well as jazz and ‘gypsy’. The vocalist is Abby Rosenblatt. The website features biographies, some clips of music, reviews and some contact information. Israeli pop singer and entertainer. She performs internationally and sings in several languages including Swedish, Hebrew and Ladino. The website has only 3 clips, a few photos, and is a bit spartan on information, but her voice is very strong and pleasant, and there is contact info. Safam is a vocal group that’s been around for years. What’s nice is, they continue to write new music, primarily in English. Yet, Safam has reached the point where you can now get “greatest hits” albums. In the world of Jewish music, this is some sort of milemarker few ever reach. The Safam website has many online clips of music from a variety of their albums, old and new, a clear and simple chart with listings of upcoming concerts, songbooks, CDs and biographies of the performers. Jewish band in Austin, Texas, led by Mark Rubin, an okie living in Texas. The first CD was Flipnotic Freilachs. Mark’s biography and discography appear on his website. He’s also a member of the Youngers of Zion band with Hank Saposnik, and is a regular member of many klezmer bands. He’s recorded widely with a wide variety of musicians in various genres. Israeli band weaves “spiritual lyrics with Latin, African and Middle Eastern grooves” comprised of six members living in Israel. Rock star of the Reform/BBYO/Hillel movements, Rick Recht concertizes widely throughout the United States. “Recht also won the 2001 American Zionist Movement and 2000 American Jewish Festival songwriting contests.” According to his website, he has played at over 70 Jewish camps. Recht has amassed a huge following in the teen/20-something community. He has albums, “Tov”, “Shabbat Alive” and “Free to be the Jew in me” and he composes on commission for camps and Jewish venues. His website states: “His contribution to the Jewish music world marks the birth of a unique blend of pop, radio-friendly music with Hebrew, Jewish text, and social responsibility.” But there doesn’t seem to be any question of his growing popularity.